Service robots, working in evolving human environments, need the ability to continuously learn to recognize new objects. Ideally, they should act as humans do, by observing their environment and interacting with objects, without specific supervision. 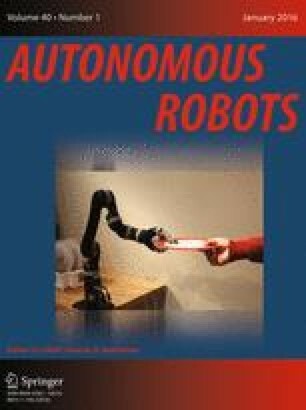 Taking inspiration from infant development, we propose a developmental approach that enables a robot to progressively learn objects appearances in a social environment: first, only through observation, then through active object manipulation. We focus on incremental, continuous, and unsupervised learning that does not require prior knowledge about the environment or the robot. In the first phase, we analyse the visual space and detect proto-objects as units of attention that are learned and recognized as possible physical entities. The appearance of each entity is represented as a multi-view model based on complementary visual features. In the second phase, entities are classified into three categories: parts of the body of the robot, parts of a human partner, and manipulable objects. The categorization approach is based on mutual information between the visual and proprioceptive data, and on motion behaviour of entities. The ability to categorize entities is then used during interactive object exploration to improve the previously acquired objects models. The proposed system is implemented and evaluated with an iCub and a Meka robot learning 20 objects. The system is able to recognize objects with 88.5 % success and create coherent representation models that are further improved by interactive learning. This work was supported by the French ANR program (ANR-10-BLAN-0216) through Project MACSi, and partly by the European Commission, within the CoDyCo project (FP7-ICT-2011-9, No. 600716). The authors would like to thank the anonymous reviewers for their comments that greatly helped improving the quality of the paper.